My first Sabbath in the land what not what I expected. For the last year, I have changed my lifestyle to honor God on the Sabbath. It’s been so sweet, keeping His Sabbath rest. But yesterday, Shabbat was a whirlwind of activity – all delving into the land of Israel and the history of God’s people. We rose early, ate a sumptuous breakfast, (which our guide said was simple because of Shabbat) and were on the bus by 8am heading to Caesarea. What strikes me most about the land is how ancient everything is. Coming from the U.S., everything is new by comparison. But here in Israel, even the new construction, made to blend in, has a feeling of being a part of this place for a long time. And that’s hard to grasp when you don’t grow up with it. 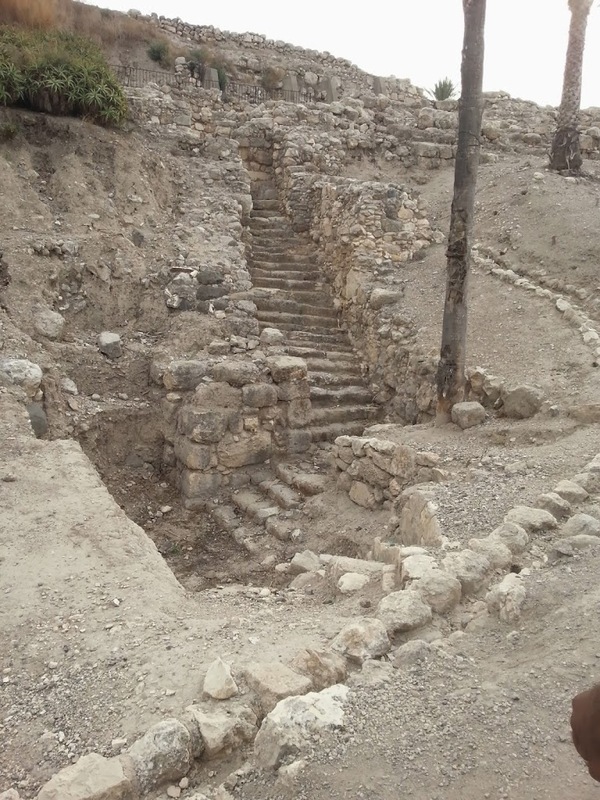 Take for instance, when we were at the tel of Megiddo. Archeologists have uncovered over 5000 years of history there, and I was looking at it and touching it! As we were ascending the mound, our guide Hillel, said that every so many feet we ascended, we were moving forward in time by 150 years. That is truly a hard concept to get my head around. The rooms I stood in at one time held people who were contemporaries of Solomon, of Ahab, of Abraham! I think the most emotional part of the day was when we were at Mt Carmel. We ascended the stairs of a church to the roof. 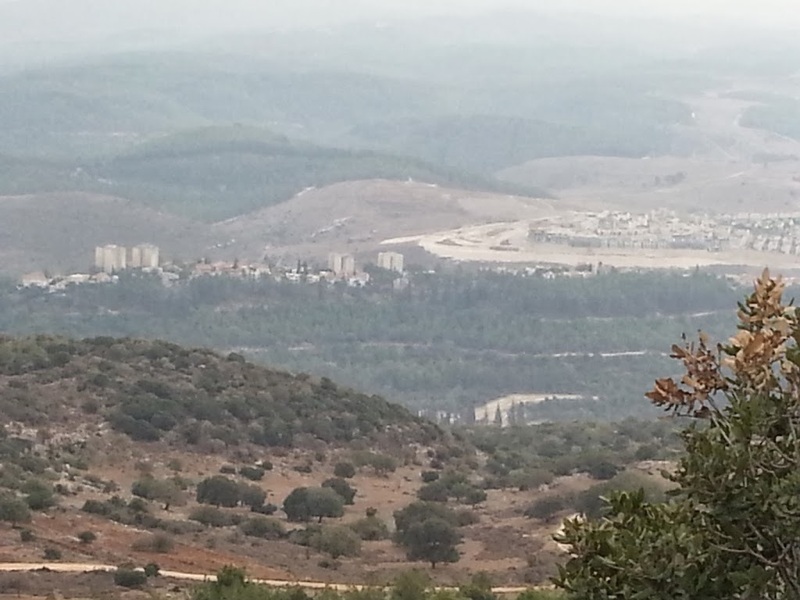 As we came out of the stairway, the view of the Valley of Jezreel took my breath away! It was so vast, so beautiful and surrounded by mountains far in the distance. As I stood there, knowing it is also called Armaggedan, the thought of that valley being filled with blood to the height of the horses chest spoke volumes of the amount of blood that will be spilled. If there is going to be that much blood shed at the end, there will be millions upon millions of deaths. How sad that humankind is so willing to die rather than bending the knee to Messiah. And having seen and experienced this, God used this whirlwind of a Sabbath to make my heart a little more like His, as I now have a deeper desire to pray for the salvation of many. And isn’t that what Shabbat is all about…drawing closer to Him? 2 Responses to Shabbat in the Land? Welcome, Tamika! So glad to hear you are honoring the Sabbath. It is such a joy! So glad to hear from you. Shabbat Shalom!